For 20 blocks, bus stops on the west side of Meridian have been moved to the middle of the street, right next to traffic speeding by. 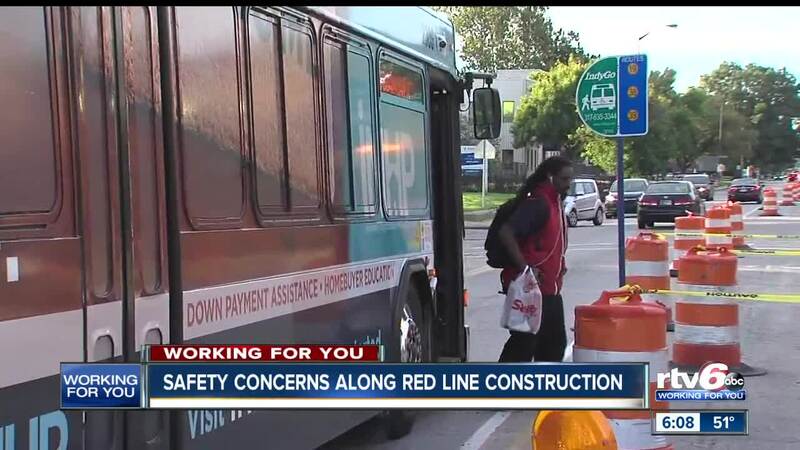 INDIANAPOLIS – After a woman was struck and killed getting off a bus in the Red Line construction zone last week, there are new concerns from bus riders and drivers about the location of the temporary bus stops. But should the bus stops be right in the middle of the road? It’s a concern being raised by riders after a 22-year-old woman was struck and killed in a hit-and-run crash after she got off the bus last Monday night. Call 6 Investigates’ Paris Lewbel watched as rider after rider waited for the bus along the busy side of the road. Some cars cut it too close for comfort. Beyond being right next to traffic, riders are having to walk from the sidewalk, through the construction zone, to get to the bus stop in the first place. We watched as riders had to navigate over holes, broken sidewalks and around construction equipment. We brought those concerns to IndyGo. They responded in an emailed statement, "All stops and sidewalk open for pedestrians are maintained free of safety hazards and the construction team checks each stop at minimum, every three days." But that wasn’t the case when we drove up and down Meridian. Beyond that. when the bus did arrive, and a rider got off, the back doors of the bus often open right into the construction zone. 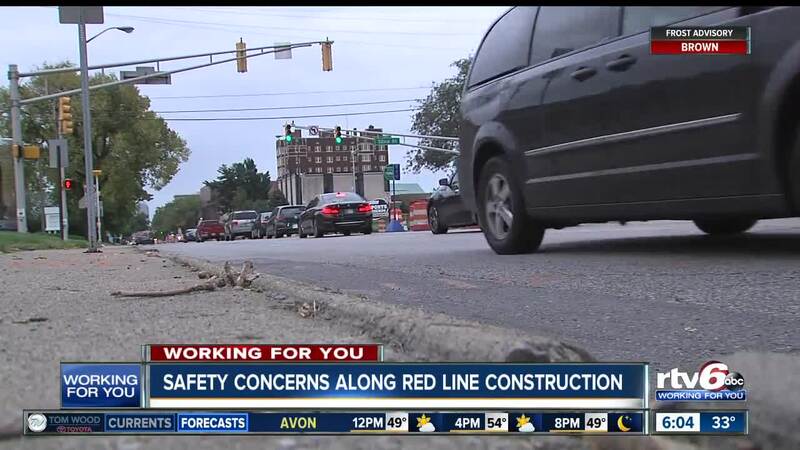 We asked IndyGo if they considered moving the stops to a street one block west or east during the construction, like they did for the DigIndy project that completely closed down Meridian earlier this year.